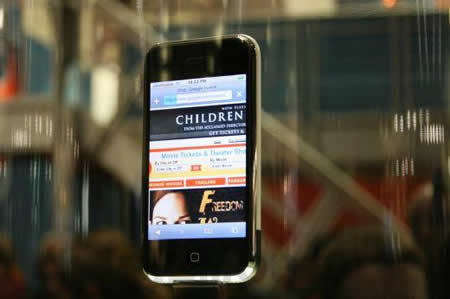 After years of speculation Steve Jobs finally took the wraps off the iPhone at the Macworld conference in San Francisco. 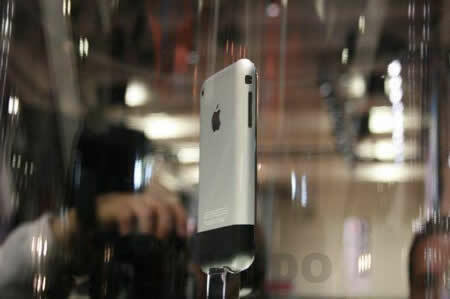 As speculated earlier the iPhone will be available in two capacities 4GB and 8GB. The iPhone is more like a widescreen iPod it features a huge 3.5 inch crisp touchscreen display offering a resolution of 320 x 480 pixels. It has an accelerometer which detects when the user has rotated the device from landscape to potrait mode and automatically change the display accordingly. Coming to the specs it rides on GSM Quad band frequency which gives you world roaming, EDGE, Wi-FI, Bluetooth 2.0, and a 2 Megapixel camera. 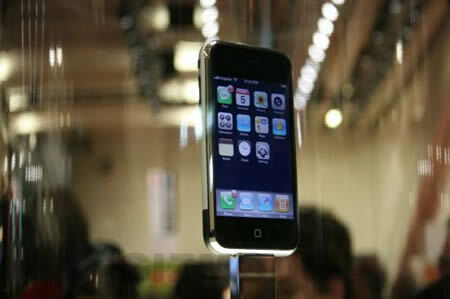 Continuing Apple’s tradition of keeping everything clean and simple the iPhone runs on a stripped down version of Mac OS X and sports an innovative user interface for using just a finger to control the device on-screen. It includes an industry’s first visual voicemail which lets users look at listing of voicemails and decide which to listen to just like an email. A mobile version of the Safari browser makes surfing easy as on the Mac. The iPhone has a 5 hours of talktime, video playback or browsing and 12 hours of audio playback thanks to sensors which turn off display when not in use and adjust the brightness based on lightning conditions. With just 11.6 mm in thickness it is thinner than any Smartphone available including the Motorola Q and the Samsung Blackjack. with just a flick of a finger and easily choose a photo for their wallpaper or to include in an email. No removal battery. No expandable memory. 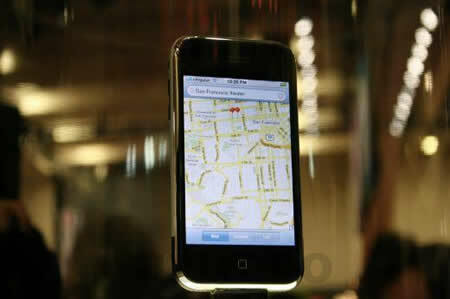 No 3G on a “brand new and revolutionary mobile device”. Extremely expensive and tied to one service provider. Not clever. No thanks, got a Sony Ericsson P910i. this I-phone is probably the most impressive piece of modern day technology on a phone. I will admit, i am not an apple fan at all. I chose a zen mp4 player and toshiba computers. I comptely oppose Apple. But this product I think i will invest into. The I-phone is probably the most impressive piece of modern GAY technology on a phone. This phone is tha one and only!! Damn, its expensive…. wid a 2 mega-pixel camera, i think i’d go fer nokia!